All Designs Are Fully Editable & Customizable! For Any Agent/Company - On Sale Today! 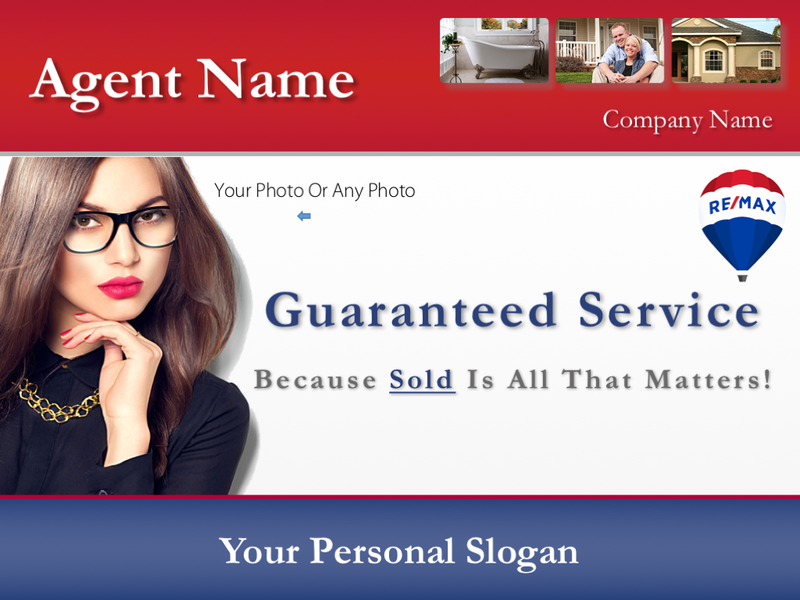 The title... 'Guaranteed Service' nicely portrays the sense of professional confidence. 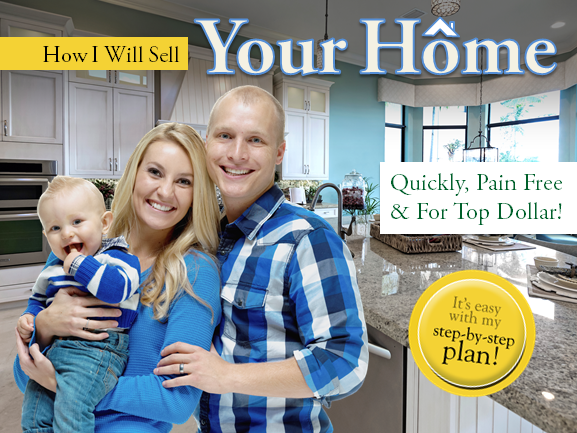 You will instantly make a positive first impression when placing the 'Inspiration' listing presentation template on the seller's kitchen table. The interior pages have font design that makes it easy for sellers to participate with you during the listing appointment. Conservative in design... created to instill a feeling of trust through the use of traditional blue & white colors. 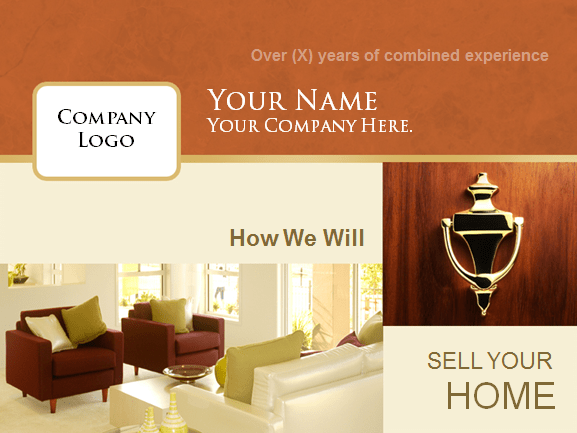 The interior page fonts make it easy to communicate your marketing strategy to your clients. 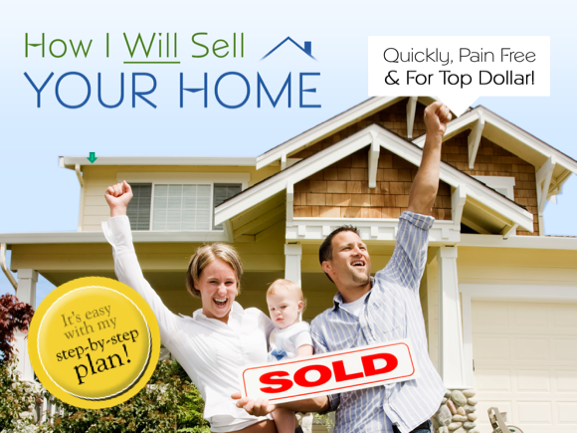 Your sellers will quickly realize your commitment and dedication to the sale of their homes. A stunningly attractive design inclusive of both style & grace. Tastefully created to highlight an agent's professionalism and commitment to the sale. 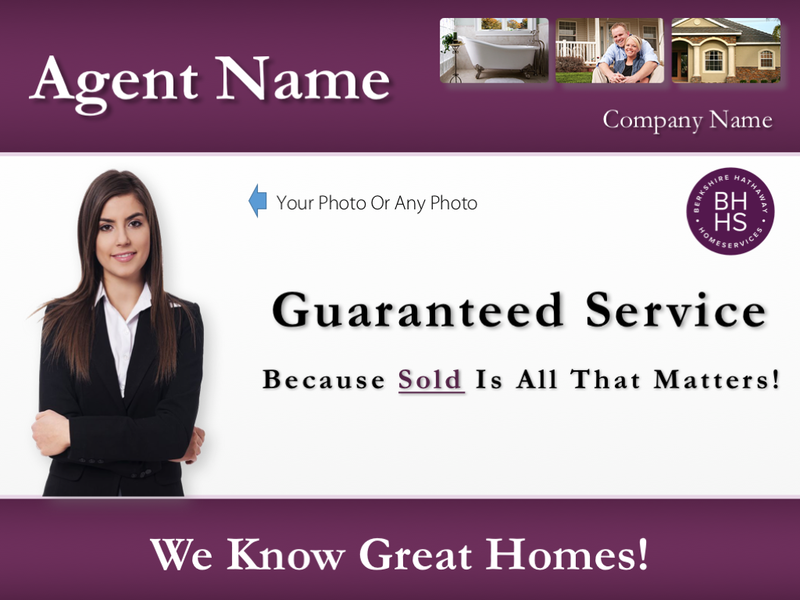 Beautiful font and delightful images brings this listing presentation template to life. This crisp & clean design projects the right professional image. And the 'sold' photo, along with the 'sold' headline, speak directly to the motivational demands of your seller. The beauty of the interior page design makes it easier for your client to value your marketing plan. 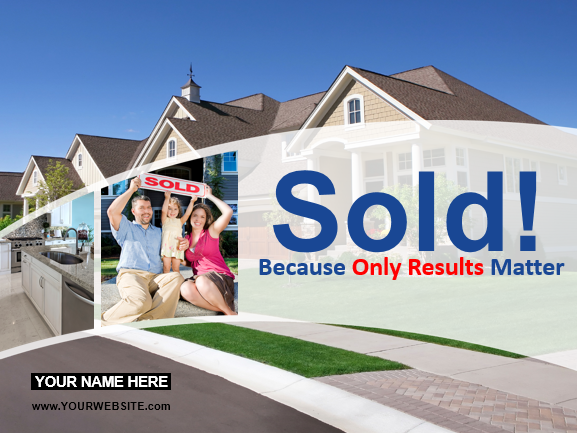 Your seller will recognize you're an agent who cares and is dedicated to one outcome... a sold sign on the front lawn. This design has been created to be slightly 'vintage' in appearance. Its color design lends itself to a feeling of experience & confidence. The font styles of the interior pages encourage a seller to focus on your marketing plan. The communication summary located on the bottom of each interior page creates seller acceptance & agreement. 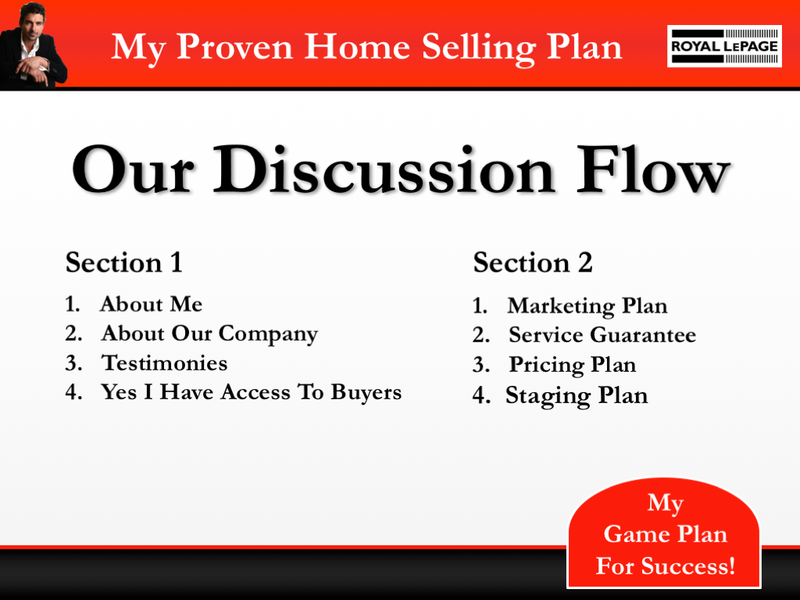 The end result... a winning listing presentation template. 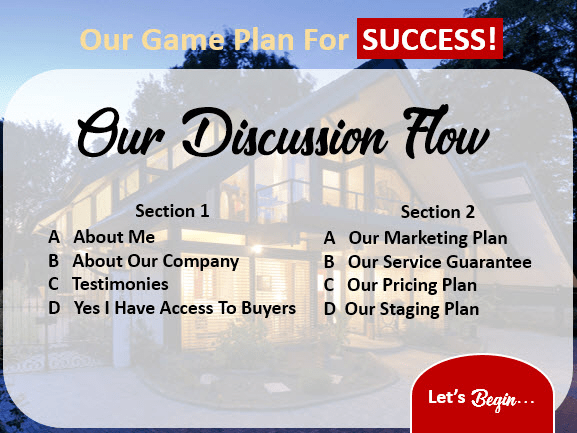 A beautiful family focused listing presentation template created to appeal to families. A sharp interior page design increases ease of reading... allowing you to walk your client through your proven marketing strategies quickly and effectively. Everyone loves a winner and this is exactly why we call this listing presentation the 'Celebration' design... because your sellers will celebrate their success after you have sold their homes. This bright and fun design not only emotionally stimulates your seller, it also persuades the seller to enthusiastically agree with your marketing plan. For RE/MAX Agents - On Sale Today! We have brought together all the elements of design any RE/MAX agent would want in a listing presentation. 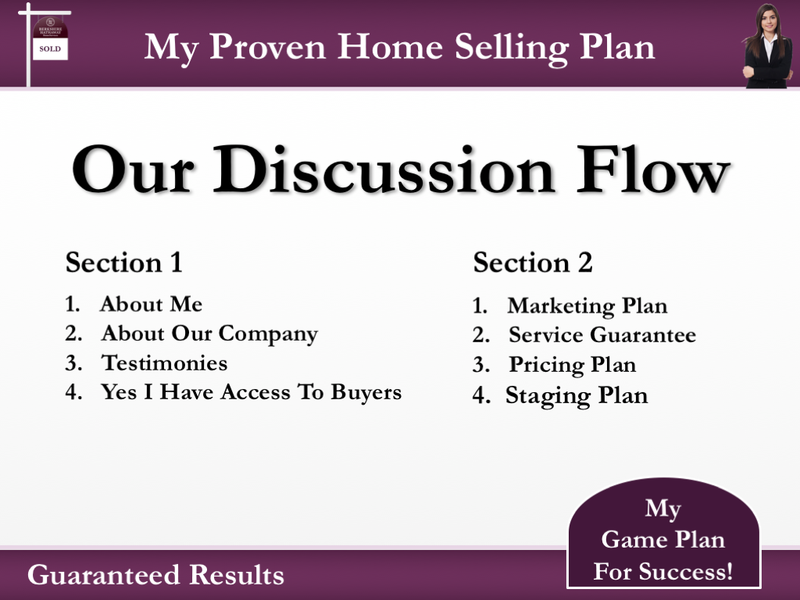 This sharp, clear and crisp design makes it easy for your clients to say yes to the brilliance of your marketing plan. The result... your clients will automatically know you are an extraordinary agent, one they can trust to sell their homes. For Century 21 Agents - On Sale Today! Bold Century 21 design with font and color that jumps off the page. Your client will quickly recognize they have a proven professional in their home... one absolutely dedicated to getting the job done. The interior pages vividly reveal how you will sell the home. This eye-opening and impactful design produces a feeling of trust, integrity and dependability about both you and your proven services. For Keller Williams Agents - On Sale Today! An exquisite design combining the reputation of Keller Williams with your own proven talent and experience. Soft in feel yet sharp in visual appeal... your clients will know they can trust you to sell their homes. Beautifully created interior pages quickly lead your clients to appreciate your commitment to their sale. For Coldwell Banker Agents - On Sale Today! Elegant design... traditional Coldwell Banker blue with bold white interior page lettering and stylish font. This listing presentation immediately impacts your clients in not only a positive way but also through motivational persuasion. The result... your clients know you are an agent of integrity, commitment and dedication. For EXIT Realty Agents - On Sale Today! 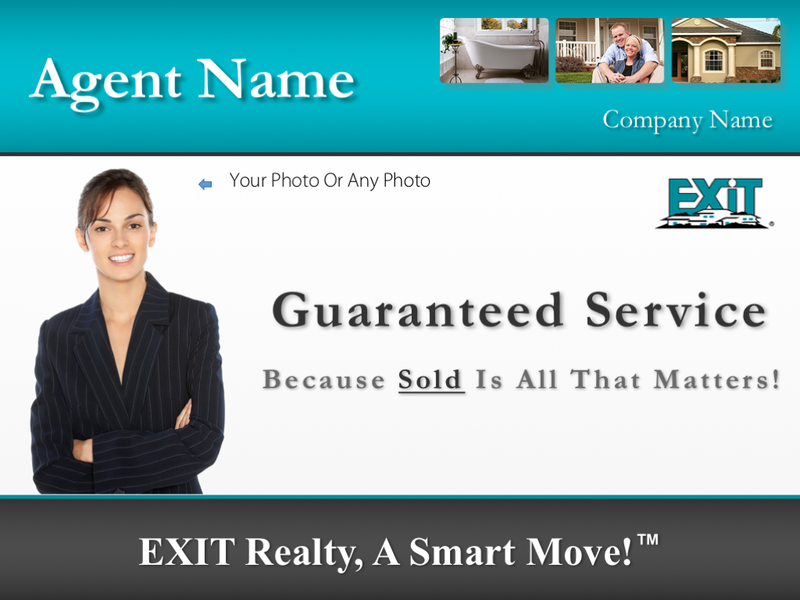 This Exit Realty design is a blend of creative imagination and visual imagery. Your clients will know you are an agent of excellence. The interior design makes it exceptionally easy for your clients to understand your marketing plan. 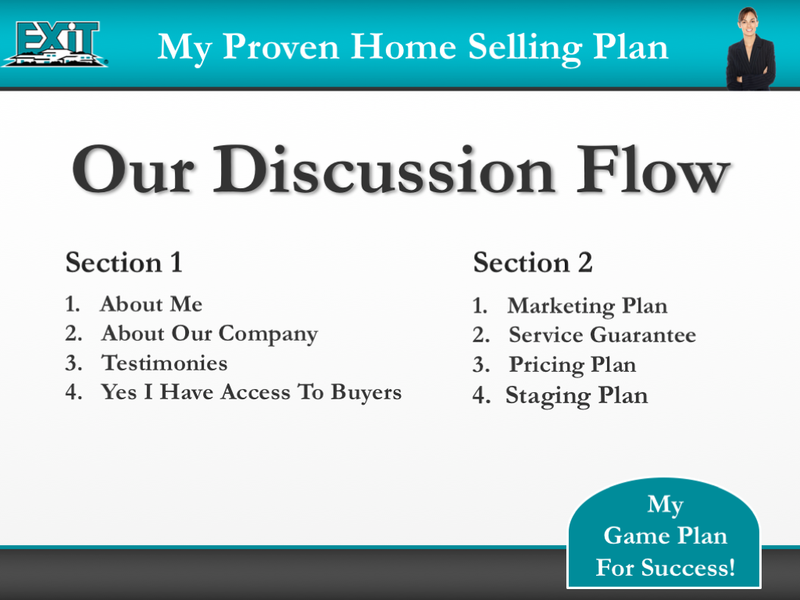 Plus your clients will recognize you are a dedicated agent, one who is determined to sell their homes. For Berkshire Hathaway Agents - On Sale Today! Competence, character and commitment best describe how this design impacts your clients. 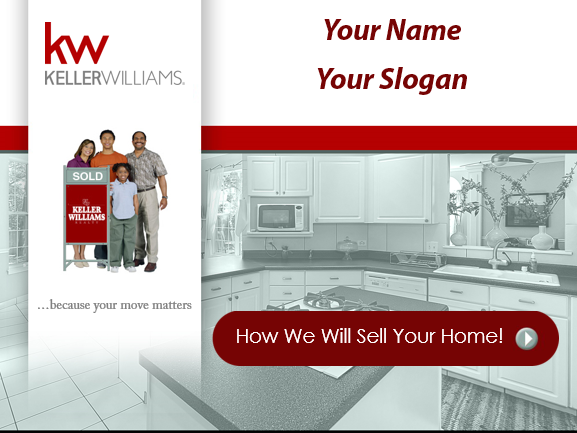 The cover page of the Berkshire Hathaway listing presentation quickly sends the right motivational message to your sellers... a sold sign on their front yards. 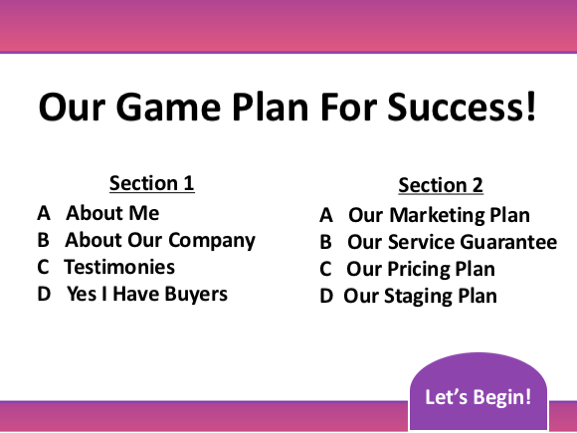 Add the power of interior page clarity and the end result is a winning listing presentation template. For ERA Real Estate Agents - On Sale Today! 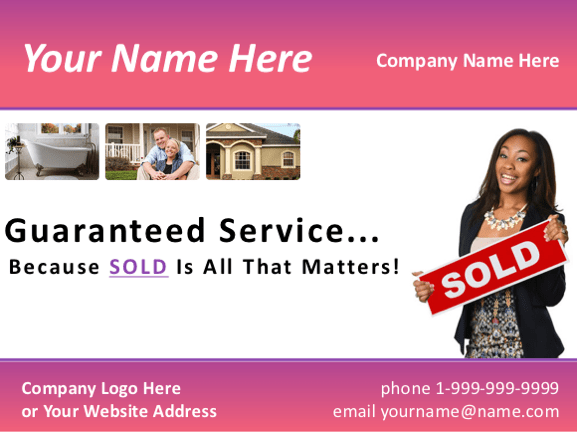 Integrity, confidence and determination are beautifully displayed in a clear and crisp design that sends a powerful marketing message to your seller. 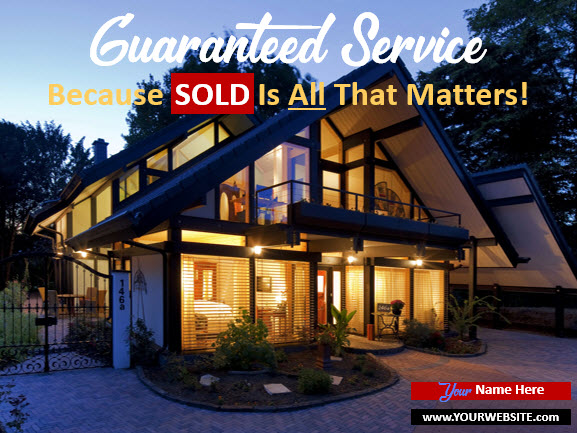 Trust is quickly established, providing the seller with the personal feeling of security making the decision to list much easier. The interior design wonderfully complements the flow of the ERA listing presentation. For Royal LePage Agents - On Sale Today! Canada's leading real estate company Royal LePage deserves to have a listing presentation design worthy of its reputation. Focused on what matters most, yet soft in presentation delivery, it nicely communicates your commitment to your seller's expectations. 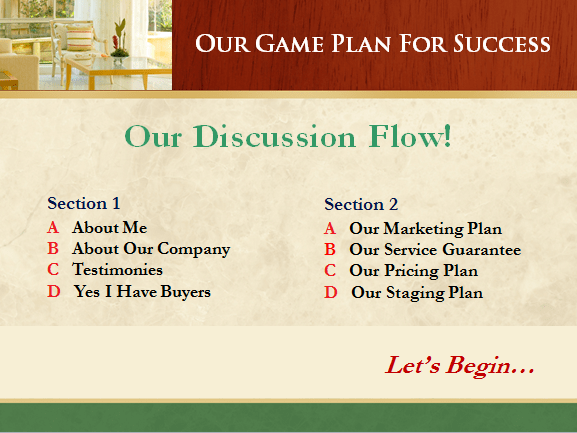 The interior page design highlights your outstanding marketing plan in a easy-to-understand dialogue. RE/MAX is a copyright & trademark of RE/MAX International, Century 21 is a copyright and trademark of Century 21 International, Coldwell Banker is a copyright & trademark of Coldwell Banker International, Exit is a copyright & trademark of Exit International, Keller Williams is a copyright and trademark of Keller Williams International. Berkshire Hathaway HomeServices is a copyright & trademark of HomeServices of America, Inc. Realty Executives is a copyright & trademark of Realty Executives International. 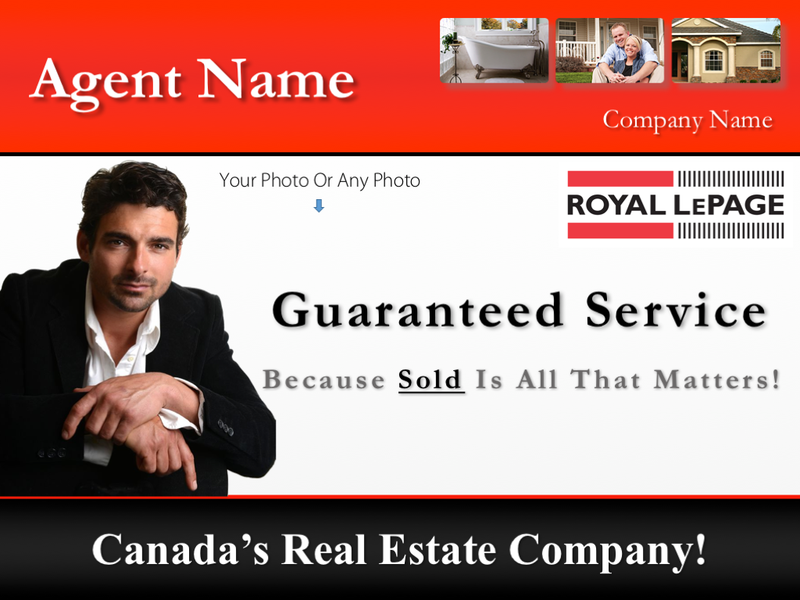 Royal LePage is a copyright & trademark of Brookfield Real Estate Services Fund. All other trademarks, service marks, trade names and logos appearing on the site are the property of their respective owners. 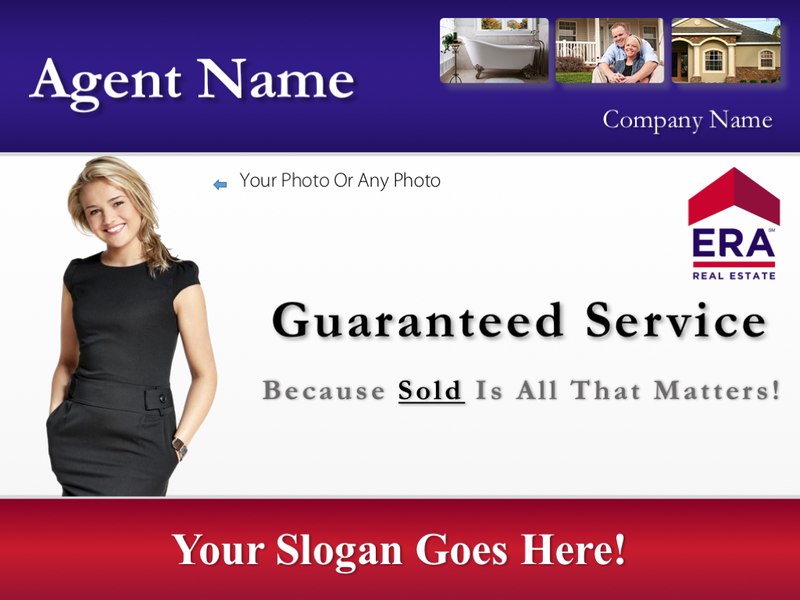 The above companies have NOT reviewed or approved these 'company themed' listing presentation designs. 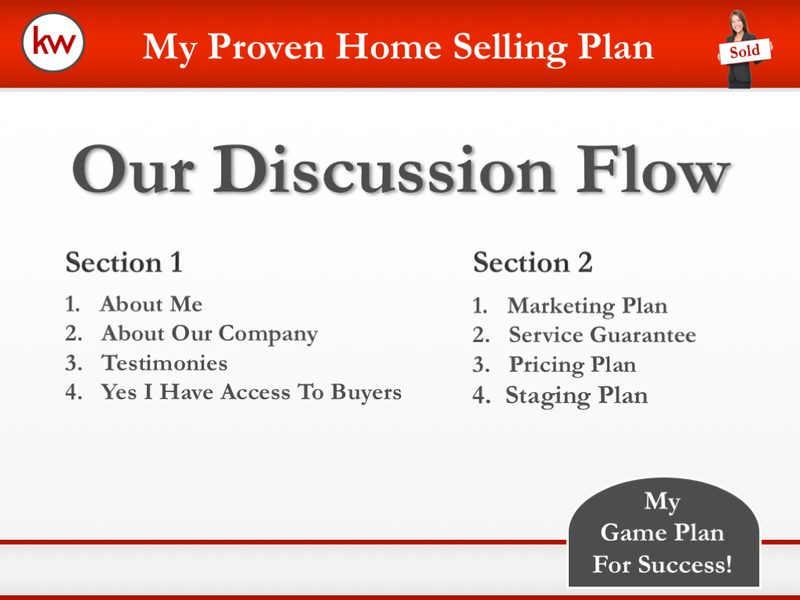 These listing presentations are examples of actual work done for individual agents working for these real estate companies.